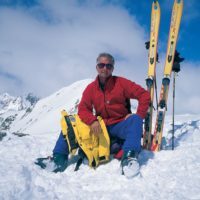 Bill O'Connor is an internationally qualified(IFMGA) mountain and ski guide based in the Lake District. He spends up to eight months of the year abroad, at least three of which are spent off-piste skiing and touring in the Alps. 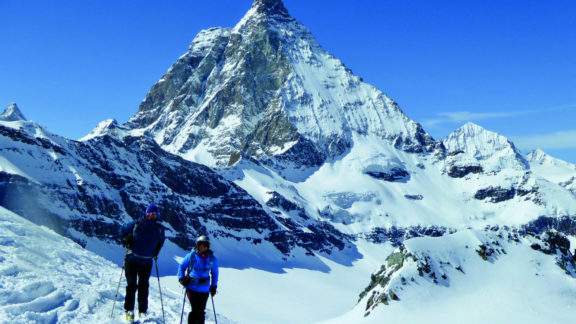 A former Head of Outdoor Education at both Marlborough College and Loughborough University he has spent the last twenty-five years guiding in Britain, Europe and the Greater Ranges. Bill is a member of the Alpine Club, Alpine Climbing Group and Alpine Ski Club, and is a Fellow of the Royal Geographical Society. When not 'out there doing it' he lectures, contributes articles and photographs to most of the leading outdoor publications in the UK and abroad, and runs his photographic library. He has contributed to numerous publications on mountaineering and has written several acclaimed books including an alpine guidebook to Mont Blanc, a book of scrambles in the Lake District and two volumes on Nepal including The Trekking Peaks Of Nepal.